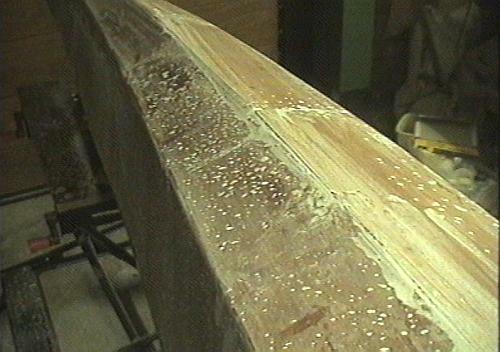 Epoxy is not resistant to sunlight. 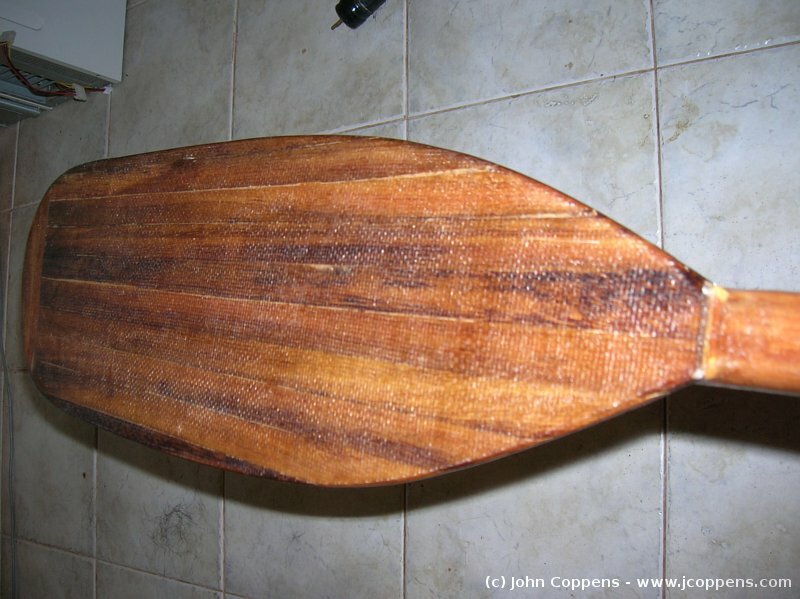 So a few coats of varnish or paint are necessary to protect it against UV light. Use a good varnish with UV filters. Nearing the end of the project, and with the water in sight, I started worrying about paddles. 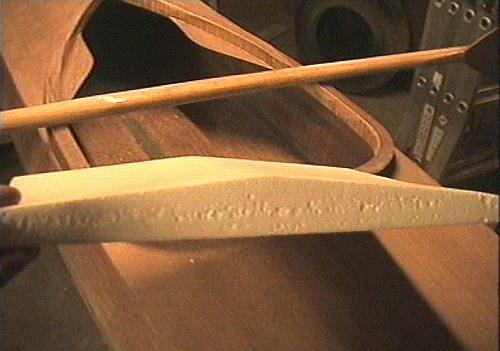 After all the work on the boat itself, buying a a set of paddles seemed unforgivable. I also added a loop at each ends of the kayak. 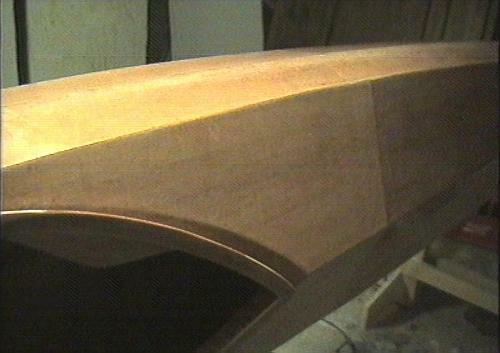 First sanding with 80 grain, then 100, then 120, etc., till the desired termination is obtained. I sanded with water to reduce dust. Use dust mask! 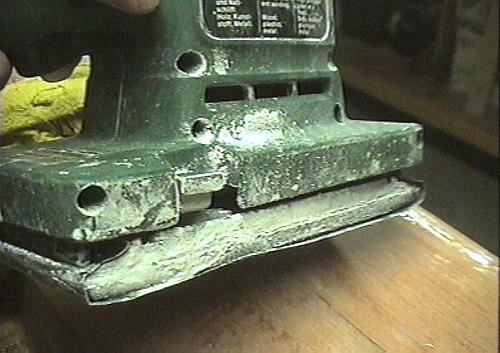 The power sander wasn't the same after the construction. In the midst of a session, a loud noise indicated a completely dried out bearing. The surface doesn't shine after sanding, but the varnish will make it transparent again. 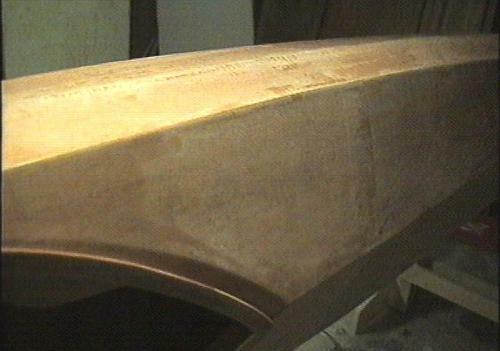 Wetting the sanded surface simulates the effect. 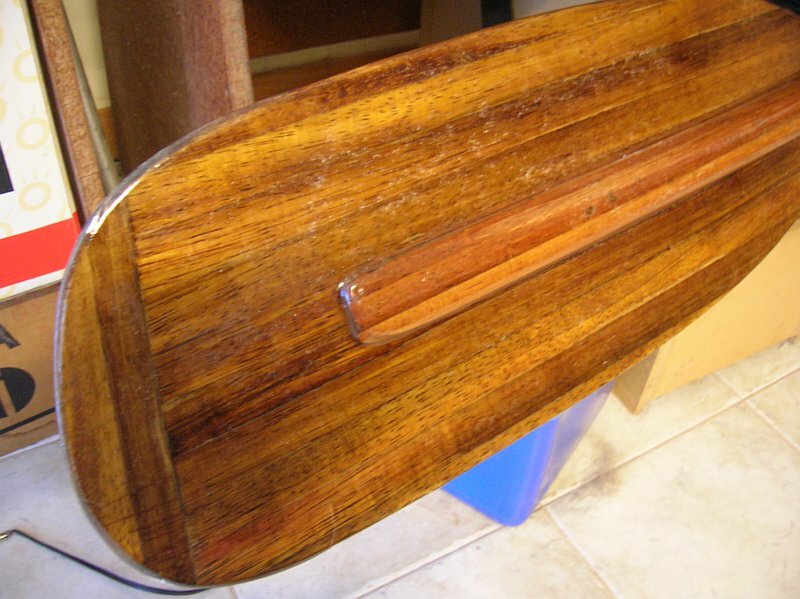 Of course you can simply paint the boat, but the wood termination is too nice to hide! 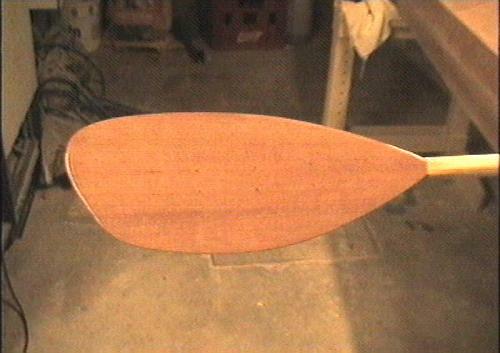 My first paddle, another example at improvisation. I used the mean value of many data found on the internet and made a prototype. The surface area is around 650 cm2, which was ok. The other side. I'm satisfied with the result! 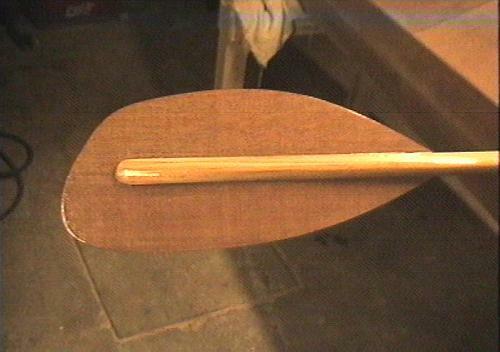 The second version of the paddle, now made of 'real wood (Timbo) and using strips. The surface area is slightly larger, about 750 cm2. The reverse side of this one. High density foam was used to make a temporary seat. I really should spend time to make a new one. 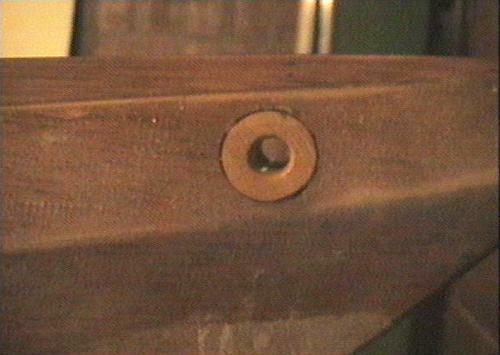 I drilled a hole in the bow and stern, and glued in a drilled, 25 mm diameter piece of wood. Painted completely with epoxy.